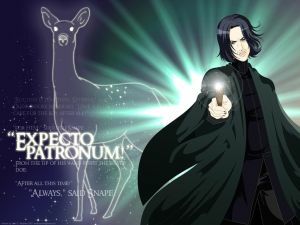 4: GoF | Expecto Patronum! 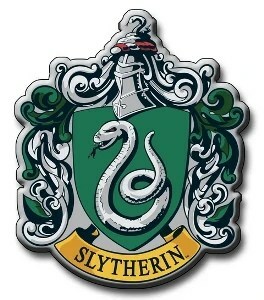 Pottermore: Day 4 Debrief… and Share Your Pottermore Username! This is the first time I’ve blogged live during the registration period, and wouldn’t you know that the Magic Quill site would have technical difficulties? They weren’t kidding when they said the clues would start to get easier on Day 4! How many students take part in the Triwizard Tournament during Harry’s fourth year? It’s the same number as the Clue number! (My theory is that the reason they are making the clues easy is that now the books get so much longer). The pattern of 7 books * number of days/chances remaining holds! As predicted, we needed to multiply by 28. This means that tomorrow’s number will almost certainly be 21. Pottermore seems to be partnering with a limited number of third party sites. Today, we were supposed to be redirected to the Sony website (again), to click on the Magic Quill (again). Pottermore does have a backup plan if something goes wrong with the Magic Quill. This is the best news of all. The Magic Quill didn’t work – just as email verification didn’t work very well on Day 1. But this time, the Pottermore team was on top of the situation and quickly started redirecting people who solved the clue to the Congratulations page so that they could register. The Pottermore Tech team even posted information about the problem about 15 minutes into the registration period. I wonder if we’ll learn more about this technical glitch on the Pottermore Insider website this afternoon. Catching the Magic Quill is fun. But what people really want to do is get registered. And the Pottermore Tech Team made that possible. So Kudos to them for quick thinking in a high-profile crisis management situation. Pottermore: Clue #4 Is Up! So basically: TRY AGAIN. If you get a page telling you that you found the Magic Quill, click on the “Register Now” button. Additional info: If you do get to the Quill page (someone did and showed it to me), it’s the same as the first day’s challenge. You’ll see a bunch of brown quills floating by. You need to click on the magic quill (it’s pretty obvious which quill this is). If you don’t get to the Quill page, you should just be redirected to the page congratulating you and allowing you to register. How many students take part in the Triwizard Tournament during Harry’s fourth year? Multiply this number by 28. I won’t give you the answer, but I will give you a clue: It’s one more than it should be. in your address bar, put the number you’ve derived from multiplying the clue times 28 after the slash, and hit enter. This will take you to the Magic Quill. This clue redirects to the Sony site. Apparently you need to find the Quill. I’m looking. If anybody has any hints, please add them to the Comments section. A. We know that Harry Potter fans around the world are taking part in the challenge, so we will be varying the times that the clues are revealed. We can tell you that tomorrow’s clue (Day 4) will be released between 2.00pm and 6.00pm BST. For your convenience, here is the current time, BST. Based on previous clues, you will have between 60-90 minutes to answer the clue, type it in to your browser address bar, do whatever you’re asked to do with the Magic Quill, and complete the registration process. Day 3 closed within 60 minutes, so it seems that you’ll have to be quick on these later clues. Remember that Clue 4 will involve Goblet of Fire. It will involve a number. And if the pattern from previous rounds holds (i.e., 7 books * number of days remaining), you will need to multiply the number by 28… so be sure to have a calculator handy. For complete details on the process, see this post – which recounts my own process of getting in to the Beta test group for Pottermore. Q. I have seen people offering to register early access accounts for others. Is it safe to give my personal details to someone who is offering this service? A. Absolutely not. You should never share personal details online unless you are certain how they will be used and protected. Also, please note that the transfer of Pottermore accounts is expressly prohibited in The Magical Quill promotion Terms & Conditions. I have personally seen people exchange personal details with strangers on a fan forum. Don’t risk it! Also, don’t buy or sell early access accounts. See the bottom of my previous post for a list of reasons why! For those of you braving the Day 4 challenge: Good luck with Clue 4 and with gaining early entrance into Pottermore! We have now completed Day 3 of the Pottermore Magic Quill challenge. As you can see, the clues so far have been posted roughly one hour later than the clue was posted on the previous day. It is not known if this pattern will hold. In fact, we should probably assume that it will not. Pottermore does not want to become too predictable concerning the times of the Quill challenge. Confirmed: Tomorrow’s challenge will take place between 2.00pm and 6.00pm BST, so it will not fit the previously established pattern. As I have already noted previously, each day will focus on a different book. Clue 4 will come from Goblet of Fire (GoF). It will be some sort of number. And it will almost certainly be multiplied by 28 (7 books * 4 days/chances remaining). In addition, the Pottermore website says that the clues become easier starting on Day 4. I think that the only clue thus far that has been remotely challenging is Clue 1. So if it’s going to be getting easier, expect it to get very easy. They are probably making the clues easier because the books get so much longer and more complex starting with GoF. 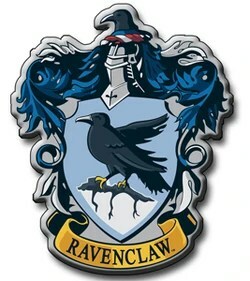 Once you have solved the clue, multiplied it by the required number, and entered the solution into the address bar of your web browser (after the slash in the following address: http://quill.pottermore.com/ ), you will be redirected to another site to do something with the Magic Quill. The site you will be redirected to has some sort of a relationship with the Harry Potter series. I mention this so that you will not freak out when you suddenly find yourself redirected to some third party website. Once you have accomplished this part of the challenge, you will be redirected to registration. How many students enter the TriWizard Tournament? How many schools participate in the TriWizard Tournment? How many challenges are there supposed to be in the TriWizard Tournament? What age is a student supposed to be in order to participate in the TriWizard Tournament? How many Death Eaters arrive at the graveyard? How many Death Eaters are missing from the graveyard? How many murdered people emerge from Voldemort’s wand when his wand is locked with Harry’s? Remember, this is all speculation. But basically, I think the numbers you will most likely need to focus on are associated with either: The Quidditch World Cup, The TriWizard Tournament, or Voldemort’s return at the graveyard. And since this clue is supposed to be easier, I’m guessing that it will involve the TriWizard Tournament. And of course, I could be completely wrong about any of this! Once you have the number required for the clue, you will need to multiply that number by another number. If the pattern holds, that number will be 28. Q: I registered for early access yesterday with a Yahoo email address and have yet to receive my verification email. What’s happened to my email and will I still be able to verify in time? A: There is a delay with verification emails going out via Yahoo! Mail and related providers (such as BT Yahoo! ), which means that, while emails are being sent out, they are being delivered at a greatly reduced rate. We are currently talking to Yahoo in order to resolve this problem and will update this blog post with new information as we get it. Q. Is there any update on the Yahoo! Mail issue? A. This has now been resolved and everyone who registered with a Yahoo! Mail account on Sunday or Monday should now have received their validation email. If you still don’t want to chance it with Yahoo, you can always set up a non-Yahoo account for your Pottermore verification email. Gmail seems to have been the most reliable service so far. If Pottermore registration is still open, though, you might want to try again – perhaps in another browser. The Pottermore website and the Pottermore Insider will indicate when registration has closed. Don’t do it! It’s not worth it! Pottermore is free, and everybody will be able to register once the Magic Quill contest is over. Even people who complete the Magic Quill contest are not guaranteed immediate entry, just early entry. None of us knows right now exactly when we will receive our Welcome email. For some of us, it could be on the day after the Magic Quill contest ends. For others of us, it could be 3-7 weeks later. And for some of us, it could be as late as the day before Pottermore opens to the general public. Pottermore will be open to the general pubic at the beginning of October. That is only two months away. It is not worth spending as much as $800 on eBay for something that you will be able to gain for free in just a couple of months – particularly when none of these Beta test accounts guarantees immediate access. 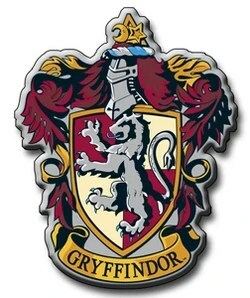 Q. I have seen Pottermore early access accounts being sold online on places like eBay. Is it okay to buy or sell Pottermore accounts? A. No. Please do not buy, sell, or transfer Pottermore early access accounts. Obtaining Beta registration for Pottermore with the intent of selling on those registration details for monetary gain not only deprives genuine fans the chance to gain early access, it is also expressly prohibited in The Magical Quill promotion Terms & Conditions. We have the right to terminate any Pottermore accounts that are sold online. Access to Pottermore is, and always will be, completely free so please don’t be tempted by people selling Pottermore accounts online. You will only be wasting your money – and there are still more clues and chances to come! Basically, if you try to sell an account, they are probably going to go after you. If you buy an account, you are being very foolish. And anyway, it’s really not that hard to pass the Magic Quill challenges successfully! So have fun with this. Experience it yourself, and don’t try to buy the experience! I will be posting an update later today if Pottermore Insider posts a time window for Day 4. Good luck to those who want to give Day 4 a try! By forcing Dumbledore to give him his word that he will “never – never tell,” Snape ensures that he will be mistrusted, even hated, by the same people who will gain most from his protection of Harry Potter. Let’s look at a few passages that illustrate the consequences of this secret. Dumbledore has to know this is a lie, that Severus Snape feels no debt whatsoever to James Potter because he believes that James was only trying to avoid being expelled for his role in Sirius’ prank. But because he’s given his word, Dumbledore can’t tell Harry the real reason Snape has been trying to protect him. And the lie actually does damage to Harry’s future interactions with the Potions Master. When Harry reveals to Severus that he knows Snape is in his father’s debt, it just intensifies the row already brewing between them. Lupin has no idea why Dumbledore trusts Snape. He just knows that he does. Well, Dumbledore did have an ironclad reason to trust Snape. And Snape’s repentance was absolutely genuine. But because Snape’s role is as a spy, the secret of how and why he turned away from Voldemort is probably best kept… well, secret. A few trusted people like McGonnagall could possibly have been let in, had Snape allowed it. But Snape himself chose the path of absolute secrecy. And that fact alone should be enough to quiet down those Snape partisans who bemoan the fact that the Potions Master got so little recognition and reward from his colleagues. But, of course, it won’t.